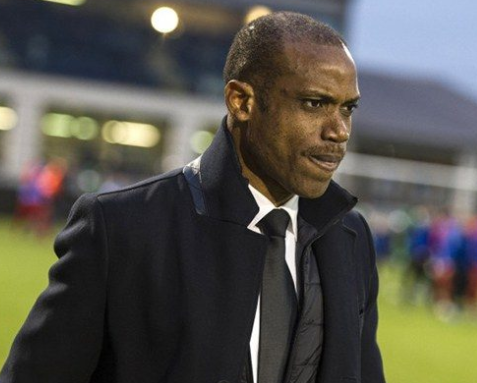 Netherlands’ second tier side Fortuna Sittard has suspended former Nigeria coach Sunday Oliseh for what it describes “unacceptable actions”. This is coming after the club recorded a four straight loses this season. 'I confirm: Due to my refusal to participate in Illegal activities at Fortuna sittard & violate the Law,i have been Suspended from my duties as Coach by the Foreign Owners of Fortuna.Unfortunate for the lovely fans, my players & our hard fought phenomenal positioning for Promotion'. The former super-eagles coach was appointed as Sittard coach in late December 2016. Sittard finished 17th in the 20-team league at the end of last season but are currently third in the table and are five points behind leader NEC. With eight wins and just one loss earlier this season, the club actually won what is called the “second period” of the league, which is made up of four periods.